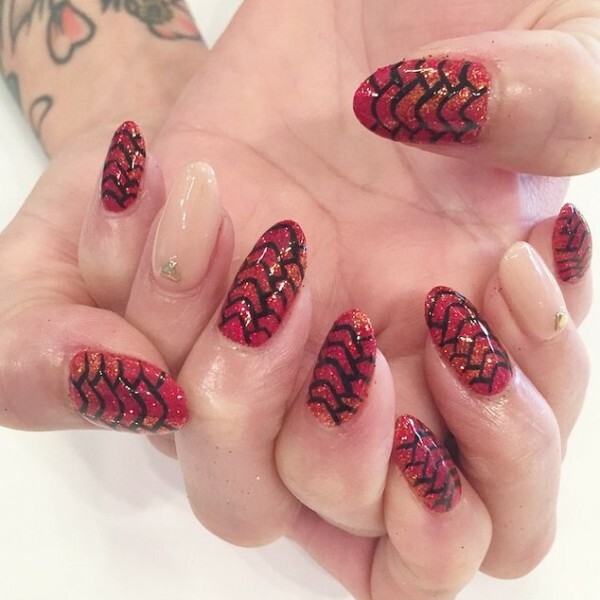 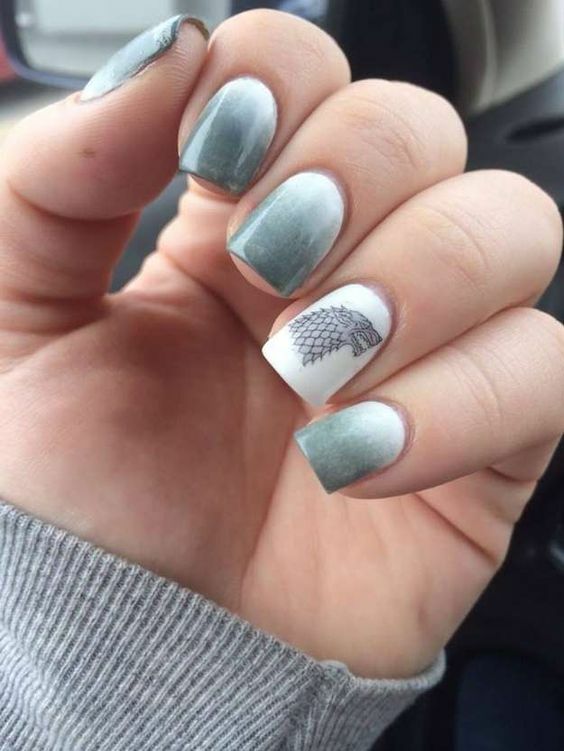 Cool Game of Thrones Nail Art Designs – Among the designs are realistic portraits of Jon Snow, Daenerys, and more of your favorite characters, as well as plenty of dragon scales and house sigils. 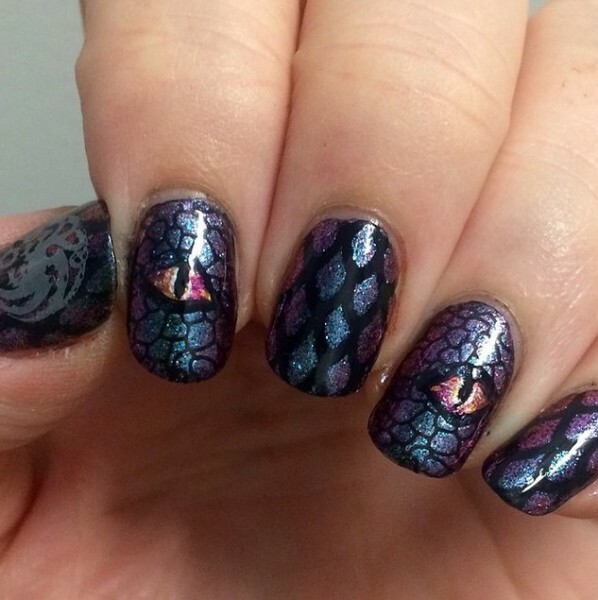 Fangirls have found genius ways to incorporate their geeky tendencies into almost every aspect of life: from themed swimsuits to tattoos, it’s easy to be stylish and nerdy all at once. 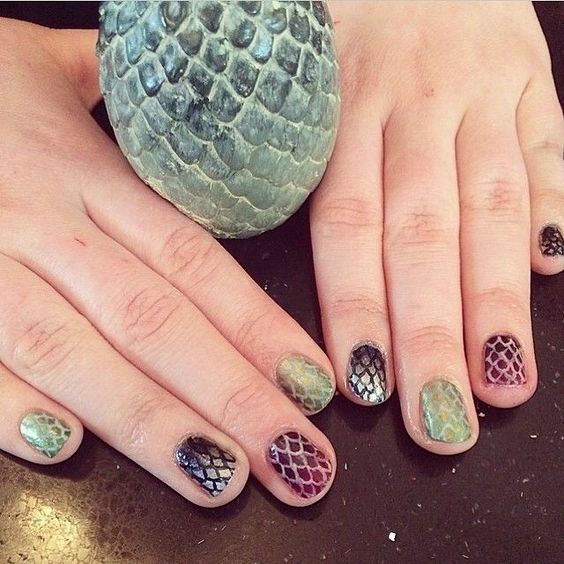 And now your geeky side can extend all the way down to your fingertips in the form of fandom-inspired nail art. 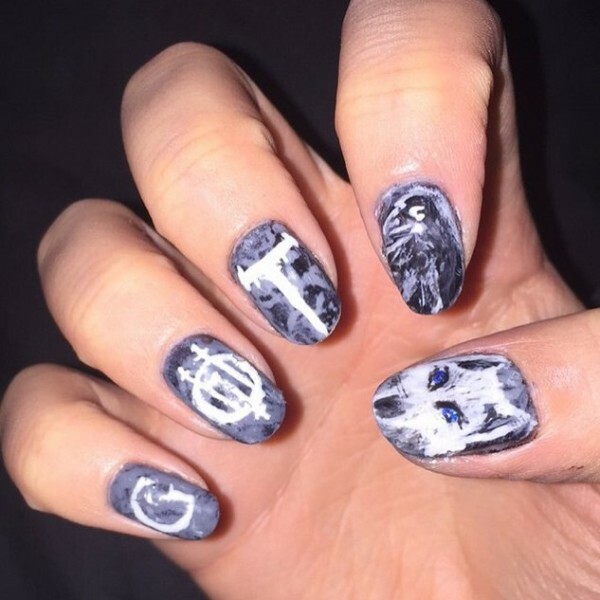 Using stamps, tiny brushes, and many hues of polish, these nail artists showed their fandom in the best way possible: Game of Thrones Nail art.